GENEVA (AP) — After a quarter-century of searching, scientists have nailed down how one particularly rare subatomic particle decays into something else — a discovery that adds certainty to our thinking about how the universe began and keeps running. 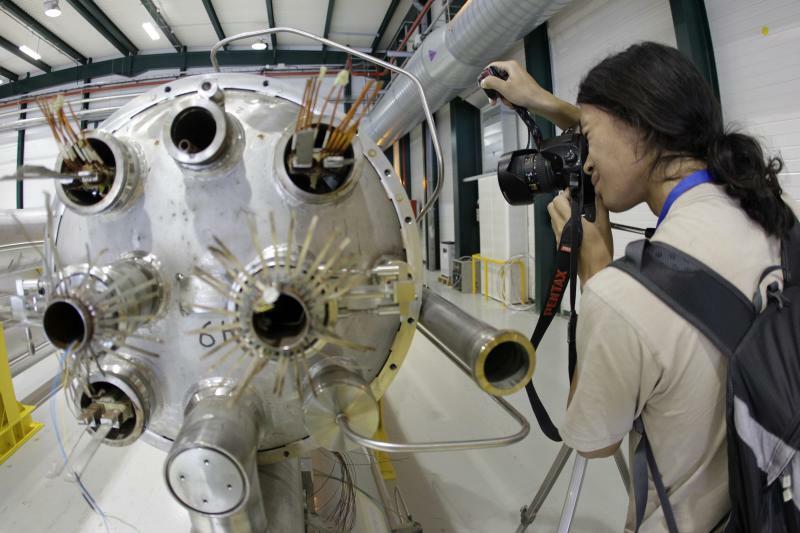 The world's top particle physics lab said Friday it had measured the decay time of a particle known as a Bs (B sub s) meson into two other fundamental particles called muons, which are much heavier than but similar to electrons. 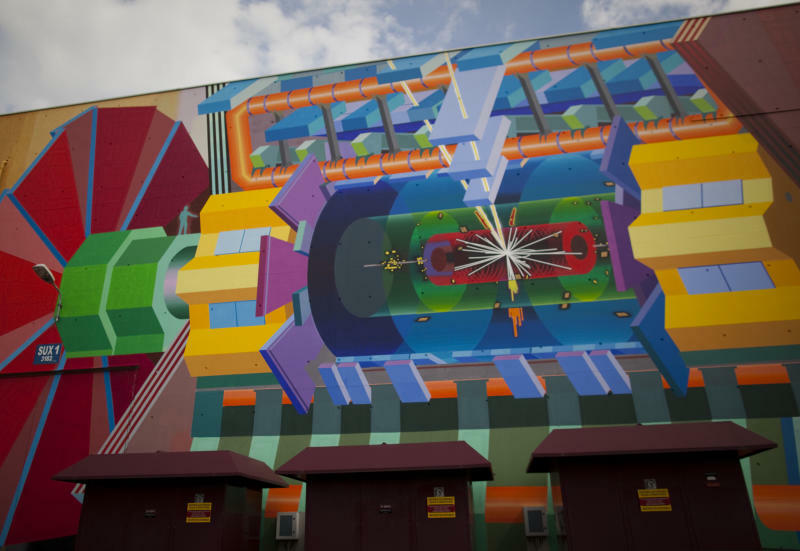 It was observed as part of the reams of data coming from CERN's $10 billion Large Hadron Collider, the world's largest atom smasher, on the Swiss-French border near Geneva. Campana called the results an important development that helps confirm the standard model, a theory developed over the past half century to explain the basic building blocks of matter. It applies to everything from galaxies and stars to the smallest microcosms, showing how they are thought to have come into being and continue to function. The results were formally unveiled at a major physics conference in Stockholm. Also at the conference, an international team of scientists based at Japan's Proton Accelerator Research Complex announced they have documented muon neutrinos transforming into electron neutrinos — a previously unknown third way that neutrinos can spontaneously change identity. Neutrinos are subatomic particles that are very hard to detect because they have extremely low mass and rarely interact with matter. That breakthrough is "a big deal," said one of the neutrino collaboration leaders, University of California at Irvine physicist Henry Sobel, because explaining the matter-antimatter asymmetry in neutrinos may shed light on why everything from tiny forms of life to stars are made of matter, but there is almost no antimatter left in the universe. That remains one of the biggest mysteries of the universe — since the Big Bang nearly 14 billion years ago should have created equal amounts of matter and antimatter. But researchers also have been looking for this particular rare decay from the Bs particle for a long time. 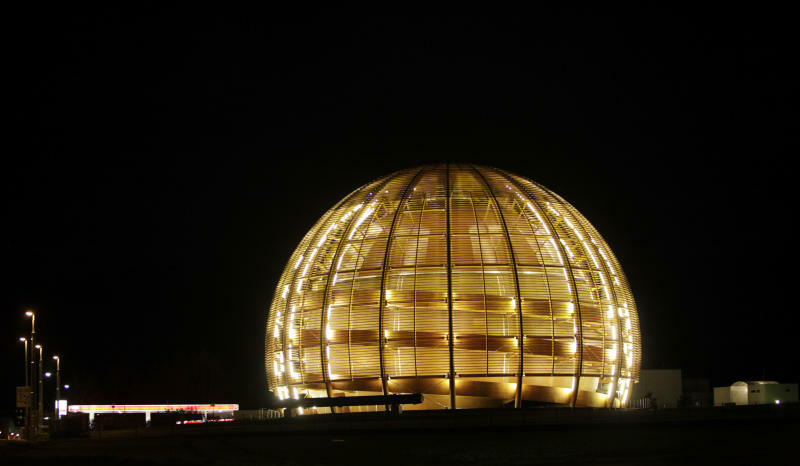 "This is a process that particle physicists have been trying to find for 25 years," said Joe Incandela, leader of the second CERN team involved in the subatomic particle research. He called it a "rare process involving a particle with a mass that is roughly 1,000 times smaller than the masses of the heaviest particles we are searching for now." The standard model also predicted a new subatomic particle discovered last summer. The long-sought Higgs boson creates what scientists call a "sticky" energy field that acts as a drag on other particles and gives them mass, without which particles wouldn't hold together — and there would be no matter. The newest research shows that only a few Bs particles per billion decay into pairs of muons, which was along the lines of what was predicted under the standard model. But because the Bs particle's decay helps confirm an old theory, some scientists also expressed a bit of disappointment they had not found something completely unexpected or new. "This is a victory for the standard model," said Joel Butler of the United States' Fermi National Accelerator Laboratory, near Chicago. "But we know the standard model is incomplete, so we keep trying to find things that disagree with it."